While scores of forums are now discussing the problem of job destruction, I4j, Innovation for Jobs, remains one of the important few dedicated to the solutions. We started before others in 2011 as an activity at Stanford University, and have now created a strong collection of ideas and an influential, eclectic community of several hundred thought leaders who can inform innovation to redirect AI to create good jobs for most people. Our purpose is to let innovation disrupt unemployment by creating a People-Centered Economy, PCE for short. Read more. i4j Innovation for Jobs is a global leadership forum organized by the IIIJ Foundation, a 501(c)3 non-profit organization with headquarters in Silicon Valley. People need to earn in order to spend, but almost all innovation is to encourage spending. 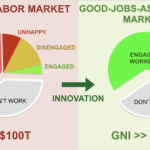 There is very little innovation for earning better, and virtually no inno­vation for earning a living. i4j is changing this by developing and testing a framework of ideas for a people-centered economy, where companies compete to raise the value of people as much as for lowering costs. The goal is a sustainable innovation economy where people do meaningful work with people they like, creating value for people they do not know, providing for people they love. 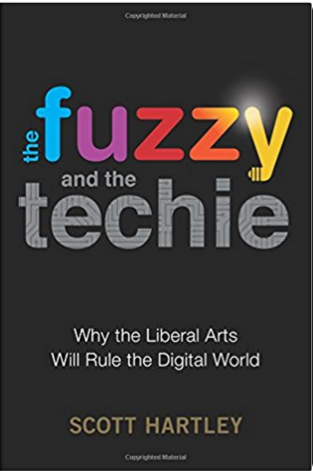 "As we evolve our technology the timeless questions of the liberal arts & their insights into the human condition have become essential in the development of our technological instruments. " AI is cutting labor costs and workers are struggling to be valuable. 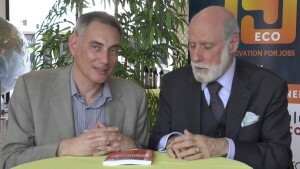 The People Centered Economy (PCE) is a ‘Copernican Revolution’ placing people, not tasks, at the center of the economy. PCE has a handy definition of the economy: people create and exchange value, served by organization. In PCE, innovation makes people value each other more (not less) and the answer to the ‘future of work’ is simple: people need as much innovation for earning as there is for spending. 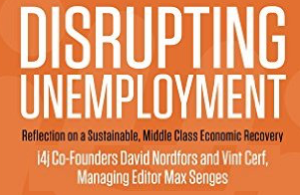 Today there is almost none there is an untapped multi-trillion dollar market waiting to be built by “the new ecosystem for innovating jobs.” The book presents new ideas, models and policies for entering a competitive people-centered economy. Co-authors, leaders from the new ecosystem, present hands-on cases from the business of raising the value of people and helping them earn a good livelihood: V. Ferose, Lorien Pratt, Sudipto Dasgupta, Ganapathy Subramanian, Thorkil Sonne, Jason Palmer, Allen Blue, Patricia Olby Kimondo, Jamie Merisotis, Jacob Hsu, Tess Posner, Monique Morrow, Daniel Pianko, Gi Fernando, Wendy Guillliesm, Derek Ozkal, Jim Clifton, Sven Otto Littorin and Guido Van Nispen. Available from Amazon in Paperback and Kindle editions.